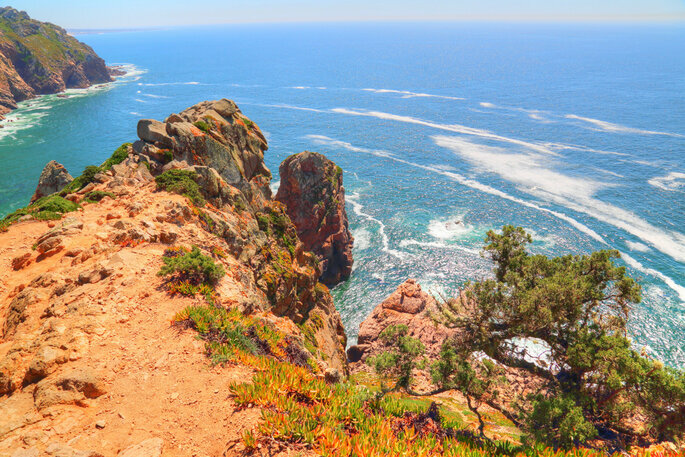 Understated and brimming with culture and history, Portugal is the jewel of the European continent, and is fast becoming a hugely popular destination for couples seeking to marry abroad. With some of the most innovative architecture, the most picturesque sea views and – it has to be said – the most amazing food, Portugal has everything you could want in a host country for one of the most important days of your life. And within the country, there is beauty to be found in every region, each with their own character – historic Porto, dynamic Lisbon, stunning Sintra, and many more to be discovered. 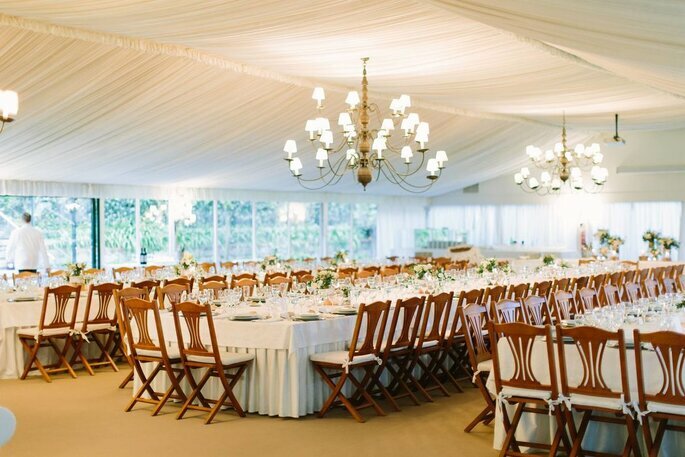 Here, we bring you our selection of the best venues across Portugal for your dream Destination Wedding! One of the most exclusive venues in the Coimbra region of Portugal – renowned for its remarkable architectural constructions, including the University of Coimbra, which has resided there since 1590 – the Bussaco Palace Hotel is where luxury and elegance collide. With an intricately fashioned façade, marrying at the Bussaco Hotel 100% guarantees the most beautiful wedding photos – and there are a lot of options for bridal couples dependent on their budget and wedding party size. There are five separate locations within the hotel for civil ceremonies, which hold from 50-190 people (all with personalised buffets included, you’ll be pleased to hear!). 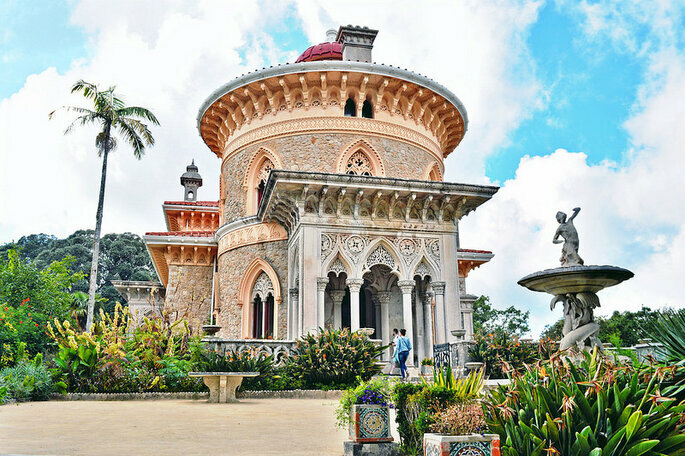 However, if you want a religious ceremony, you also have the option to go to the Chapel of the Convent of Santa Cruz do Bussaco, which is adjacent to the palace. Bridal parties have exclusive use of areas of the hotel for the big day, and the hotel boasts 60 guest rooms, so plenty of space for your loved ones! For an authentic Destination Wedding venue that is full of character, then there is no better place – feel like you’re walking into a dream for your big day! 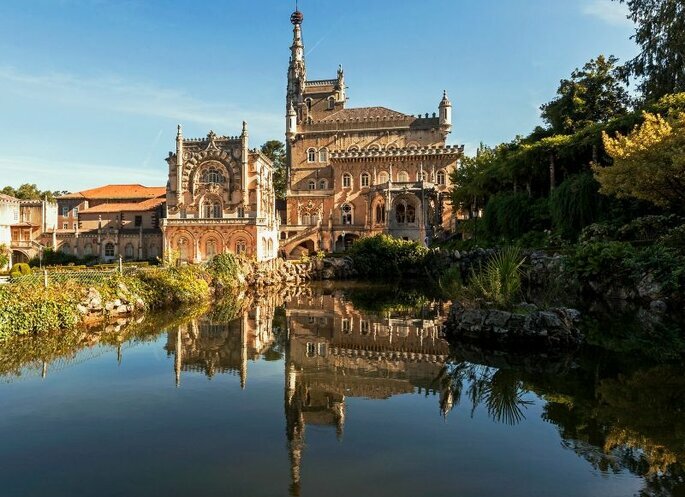 According to a survey conducted by The Knot, palaces are the third most coveted type of wedding venue by UK couples – so why not take it up a notch, and get married at the Monserrate Palace in Sintra? 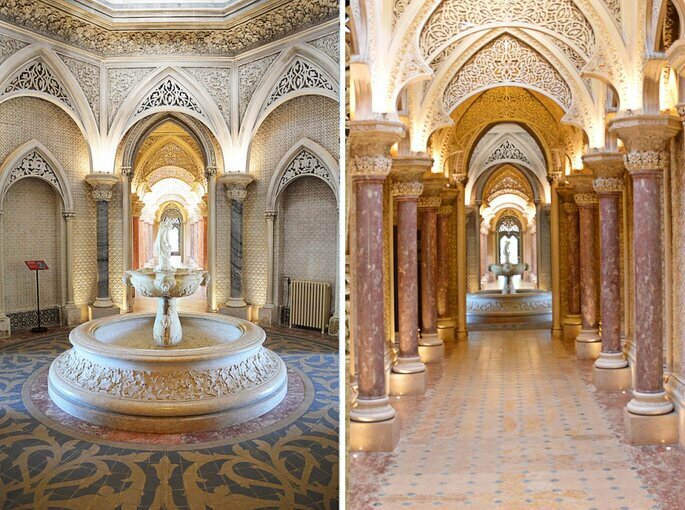 A shining example of Moorish revivalist architecture, with awe-inspiring baroque features, and situated in the hilltops of one of the most beautiful places on Earth, Monserrate Palace cannot be beaten if you’re looking for a secluded, magical venue. Indeed, Amanda and Rob’s wedding in Sintra is a great example of how perfect this place is. 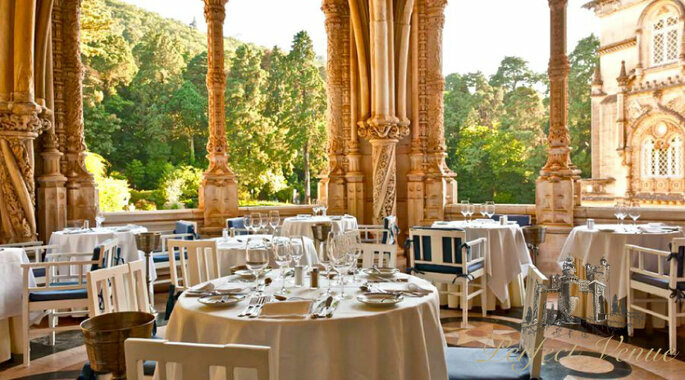 As with the Bussaco, there are many options for getting married at Monserrate Palace. Couples can have their ceremony in the ruins of the chapel (very romantic), in the music room (very elegant), or in one of the smaller side rooms (very intimate). Afterwards, cocktails and nibbles can be organised at the front of the venue as pictured below, and you and your new spouse can have an exclusive photography session in the Palace Gardens. Due to the size of the venue and its surrounding areas, there are no real limits on size for the wedding party – so invite until your heart’s content, and have a truly royal day at Monserrate Palace! About an hour up the coast from the capital city of Lisbon, Cascais is where you go when you’re looking for sun, sea and sand. This being the case, the Forte São João really does make the most of its surroundings, offering outdoor weddings on their private veranda which offers a panoramic view of the Atlantic Ocean, which seems to stretch on forever… Simple and elegant, the set-up for their Destination Weddings is easy to navigate for a foreign couple, and promises a cozy, memorable ceremony for the bride, groom and guests. 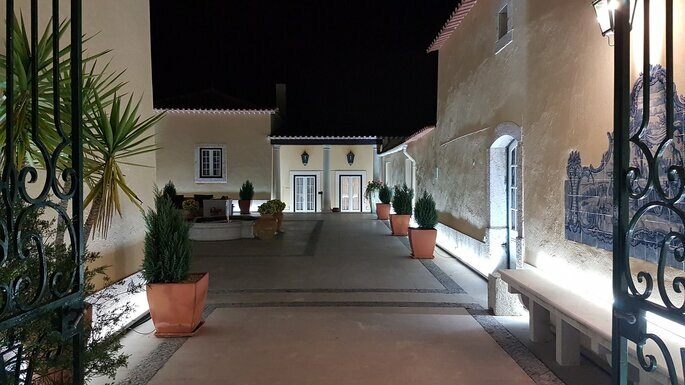 One of the primary draws of Forte São João is that is functions primarily as a restaurant venue – and so your guests will not go hungry feasting on some of the very best dishes that the Portuguese culinary world has to offer. Menus begin from a very reasonable €90, and there is space for between 50-200 guests to attend the reception. Bridal parties also have exclusive rights to the entire venue, so you won’t be interrupted by stray guests, and there is also no time limit on celebrations. So for great views, and the opportunity to celebrate all night long, then look no further than the Forte São João. An extraordinary venue, the Pousada Castelo de Alvito is a preserved 15th century castle and a National Monument, ideal for your big day. The original chapel remains intact, and can be used for your civil ceremony (though religious weddings are not available here), and another special feature of the venue is its planning service – which allows almost complete freedom for couples to organise their wedding how they like it. 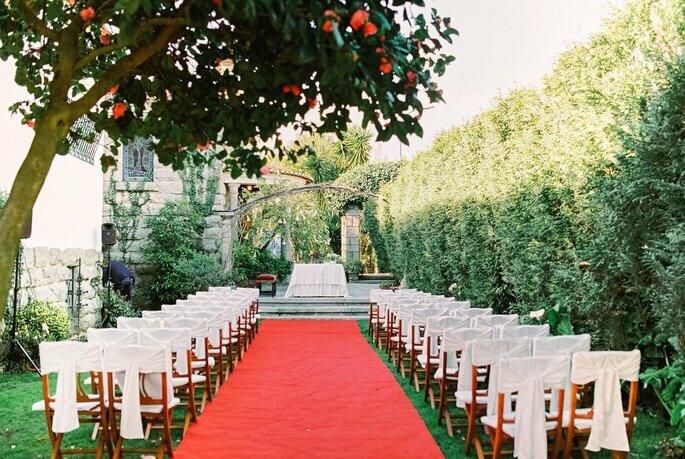 However, one thing is the same for every couple – the picturesque background of this castle with its orange trees, rose-adorned gazebo, and vineyard! The venue has a capacity of 250 people for a full meal in the evening, and space for up to 400 for more casual cocktails and a buffet. 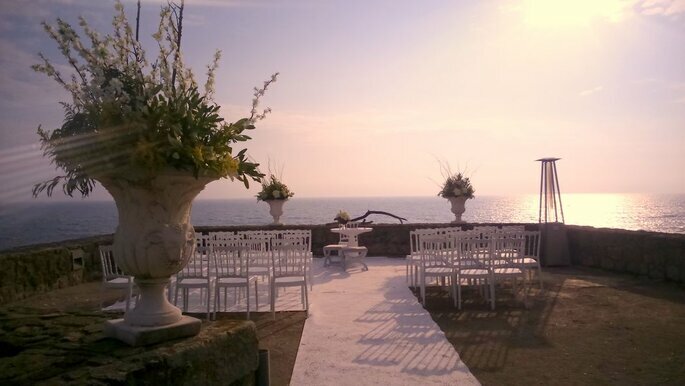 Open-air weddings can be attended by between 120-300 people dependent on the time of year, and where exactly you want to have the ceremony, but as aforementioned, the castle prides itself on being totally flexible. 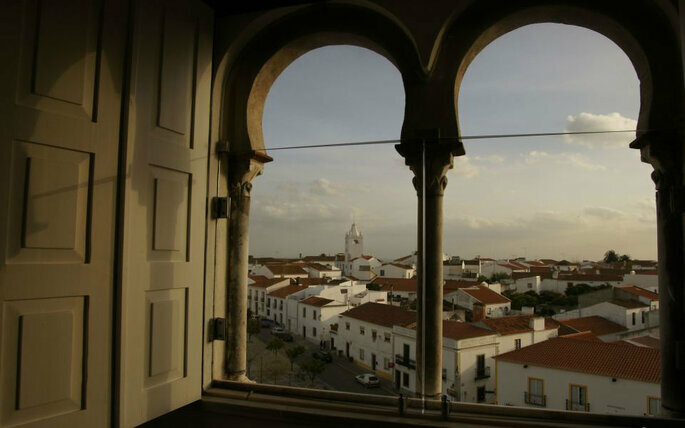 Beja itself is a landlocked region of Portugal, but is located only a few kilometres from the Parque Natural do Vale do Guadiana, a beautiful natural space, with scenic views guaranteed all around. 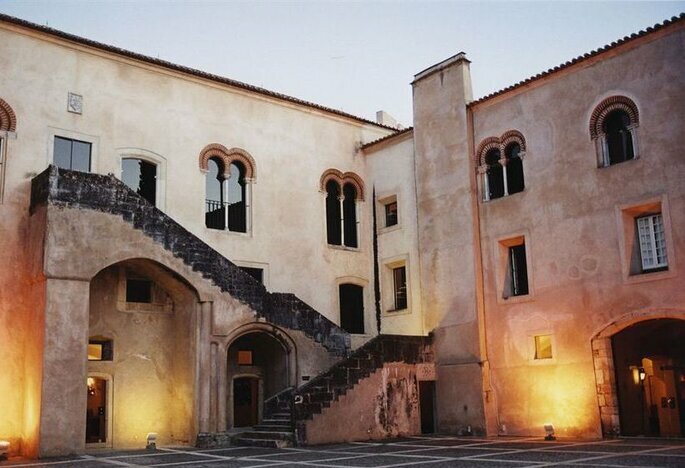 For a stately, refined wedding day, then the Pousada Castelo de Alvito is an excellent option. Lisbon is the innovative hub of Portugal, known for its vibrant, bustling streets and unbeatable blend of ecclectic old buildings and modern artistic features. 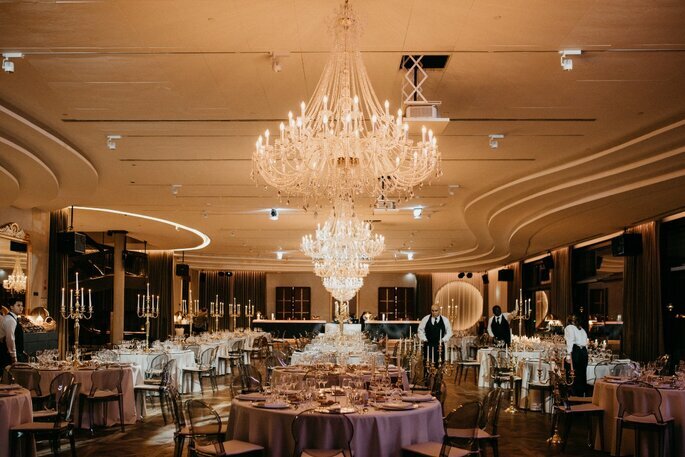 However, it does not lack of the beauty that is found in the more traditional areas of the country, and this also encompasses its wedding and reception venues – the best of which is, by far, the SUD Lisboa Hall & Terrace. Boasting the most enviable views of the Lisboan coast, the SUD can hold anywhere between 220 and 750 guests at any one time, offering a wide selection of gastronomic options. 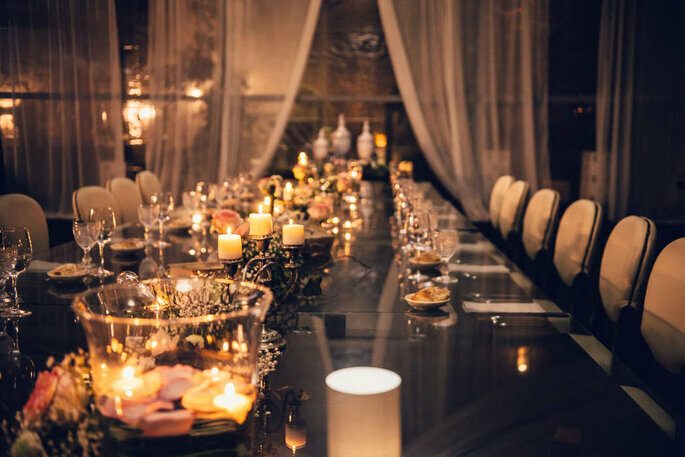 Luxurious, contemporary and chic, the SUD are masters in creating an experience for your reception (they also have a space for civil ceremonies, though recommend looking at the Jerónimos Monastery – minutes away in Belém – as a potential space too). Cocktails, exquisite three-course meals and 5* service are the name of the game – and with the venue available to hire until 2:30 AM, the game can continue for some time! 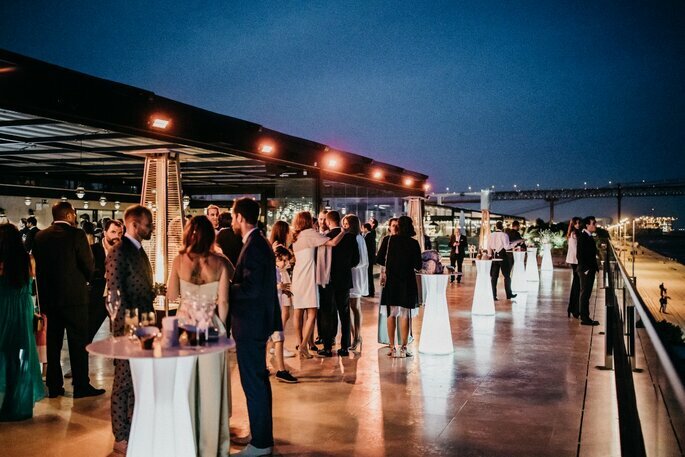 There are four separate areas that can be chosen for your reception, including the rooftop terrace pictured below. For the true Lisbon experience, with that extra dash of absolute pleasure, then the SUD is your only option! The Quinta do Casal Novo is a fully restored 18th century estate which benefits from stunning rural views and an atmosphere of tranquility and peace, whilst being a mere twenty five minutes from the heart of Lisbon. A fully inclusive venue, their wedding planning team can arrange every detail on your behalf, including catering, music, reception entertainment, and decoration (though all decided through consultations with you!). There is space for between 80-300 people, with menus starting at a very reasonable €64 – and plenty of dancing to be had! Out in the open air and countryside, there could not be a more charming or scenic venue so close to such a bustling city centre. The venue has specialised in weddings since the early 1990s, and the 40 hectares of land that the estate sits on is more than enough room for your wedding party to really stretch out and relax. The traditional décor and food (they have some of the best açorda in Portugal!) 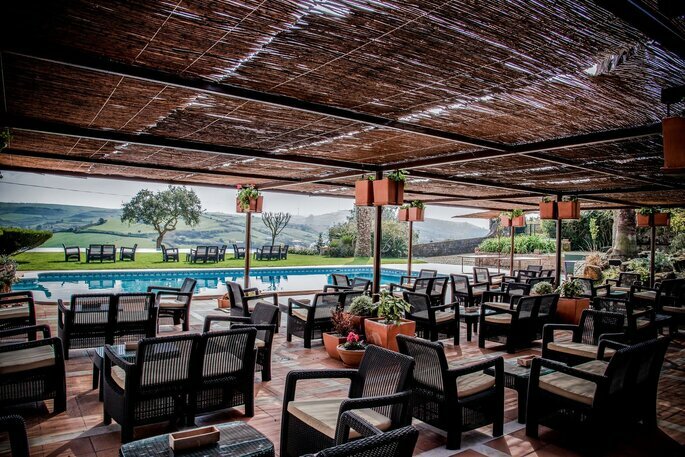 will delight your guests, and with a genuine, authentic feel, and an open-plan layout that gives you stunning views from whichever room you are in, the Quinta do Casal Novo is the one if you want a relaxing, low-key wedding day. Porto is renowned for its history and tradition, but don’t let the cobbled stone façade of this 18th century palace trick you – though the estate is beautifully rustic, with beautiful garden (and only 5 minutes from the beach! ), the interior has a modern, luxurious quality, with upscale amenities and an incredibly professional wedding planning service and team. Indeed, Casa dos Arcos appears as if it has been lifted directly from the pages of a fairytale, with idyllic floral arrangements, and is sure to deliver you the wedding of your dreams! The venue has a capacity for between 70 and 250 guests, and menus begin at €70, and outdoor weddings take place in the gardens on the grounds, as can be seen below. However, perhaps one of the most compelling elements of Casa dos Arcos is its location – being close to the beach is one thing, but a few minutes in the opposite direction, you will find the Parque da Cidade de Porto, the perfect place for wedding photos that will wow! An all-inclusive venue, with some of the most startingly-attractive rooms and décor that we have seen, Casa dos Arcos comes with our highest recommendation for your classic Portuguese wedding day. Don’t miss out on the chance to have the most wonderful wedding day, and look at Portugal for your Destination Wedding. Good luck with all of your planning! You can read other articles about weddings in Portugal here!